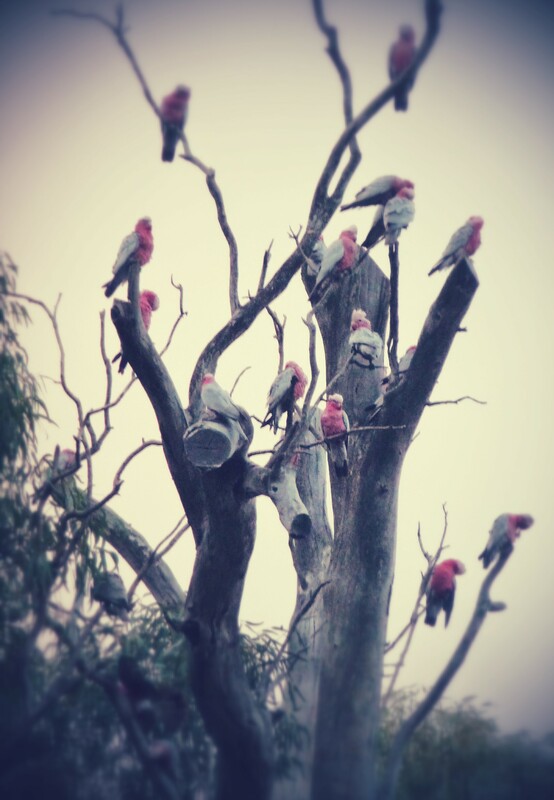 When I attended Fiona McIntosh’s Business of Writing weekend in Auburn last month, I was amazed by the number of galahs living in the town. The few in this shot were part of a much bigger flock, which easily numbered over one hundred birds. That’s some pretty raucous birdsong. © Faran Silverton, 2015-2018. Unauthorized use and/or duplication of this material without express and written permission from this site’s author and/or owner is strictly prohibited. Excerpts and links may be used, provided that full and clear credit is given to Faran Silverton with appropriate and specific direction to the original content.